Vicki is the author of four books about employee engagement. She also writes for industry and association publications including Hospital & Health Network, Becker's Hospital Review, NurseTogether.com and others. "Professional Paradise"...really? Many folks think it's an oxymoron or something soft and intangible, but Vicki shares leadership solutions to make it a reality. Organizational leaders often find themselves dealing with a seemingly never-ending list of tasks. Most of these cannot be given the attention that they require, thus they negatively affect the workplace. Other tasks are difficult to carry out because of a lack of energy and effort put forth by the staff. Is there a way for leaders to overcome this? Yes! And it starts with engagement. Employee engagement is the difference between a workplace that operates and one that excels. In order to accomplish this, you must venture forth into Professional Paradise (AKA high engagement). In this mindset, you are satisfied, energized, and productive, allowing for the enjoyment of work and noticeable results of success. What's the one thing that healthcare leaders can focus on that will positively impact quality, safety, technology, finances, new markets, the patient experience, population health, the multi-generational workforce, changing business models and so much more? Employee Engagement. It's true! Employee engagement is the difference between an organization that operates and one that excels. Using evidence-based research, proven strategies from successful clients and real-world ideas from her 4 books, Vicki Hess reveals tools and techniques for healthcare leaders to easily understand and manage the nuances of employee engagement in spite of changing priorities and a very busy schedule. Vicki shares a unique way to look at patient and employee (and physician) engagement to better understand how they are deeply connected and what you can do about it as a leader. This distinctive process provides a valuable framework for strategic and operational discussions. After this session, you will think about engagement differently. From self-engagement to how leaders can foster a culture of engagement where everyone works well together (with a strong and abiding commitment to service) participants walk away with tools to use today to transform the workplace of tomorrow. Do you find yourself struggling to meet the demands of a busier than usual workplace? In addition to your full-time job of managing your team are you still doing hands-on "work" in your area of expertise? Do you wish others around you would take ownership for their own responsibilities so you could get back to work? If you responded "yes" to any of these questions then you're ready for the shortcuts to becoming a transformational leader who garners the trust, respect and admiration of others. (Bernard M. Bass, Bass' Transformational Leadership Theory). 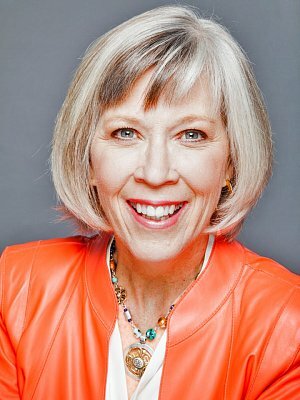 On our journey to transformational leadership, Vicki Hess, RN, MS, Certified Speaking Professional and author, shares real-world tools and techniques for positively influencing others and creating a positive work environment - even when everything around you is rapidly changing.